Singer Reimagined is the Genevan watch company officially associated with Singer Vehicle Design, the company that restores air-cooled Porsche 911s inside and out, to a level that has created a huge demand and therefore a long waiting list. Building on the success of the Porsche restoration business, Rob Dickinson, the founder of Singer Vehicle Design, and Marco Borraccino, a longtime Swiss watch designer, have partnered together to create a watch spinoff called Singer Reimagined. 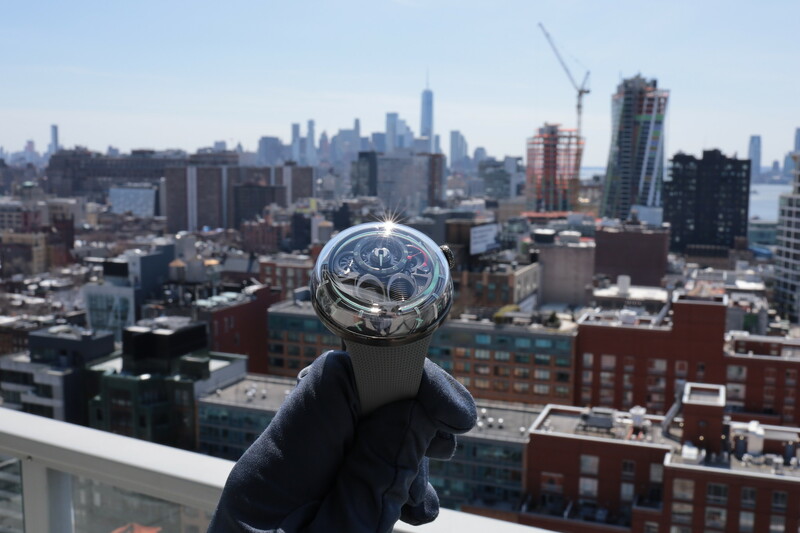 The company debuted their first timepiece, the Track 1 Launch Edition, last year. Following the initial launch, this year they debuted the second timepiece, the Track 1 Geneva Edition. And the company plans to continue with new special editions every year going forward. Similar to the availability of the restored vintage Singer 911s, the watches although new, will only be available in very limited numbers. 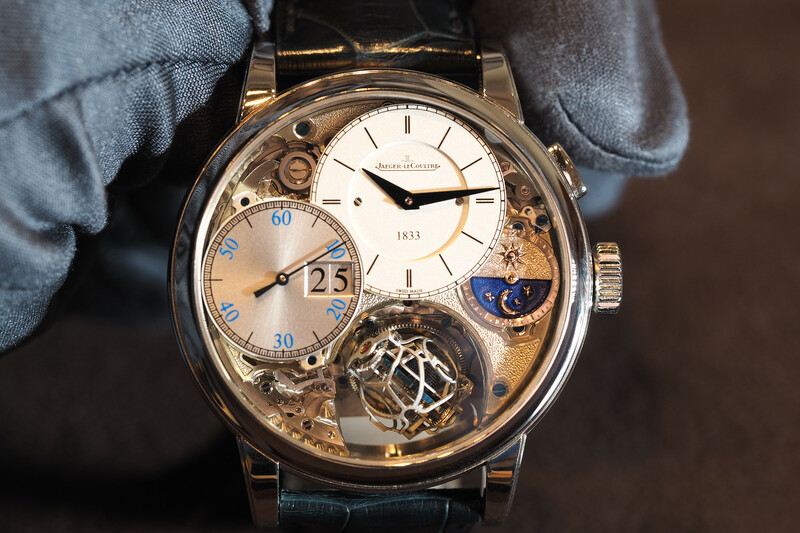 This makes sense as Agenhor, which is the Jean-Marc Wiederrecht led company that makes the Singer caliber 6361, only produces a small number of movements each year. Beyond the association with the legendary Singer 911s what makes these watches so special? 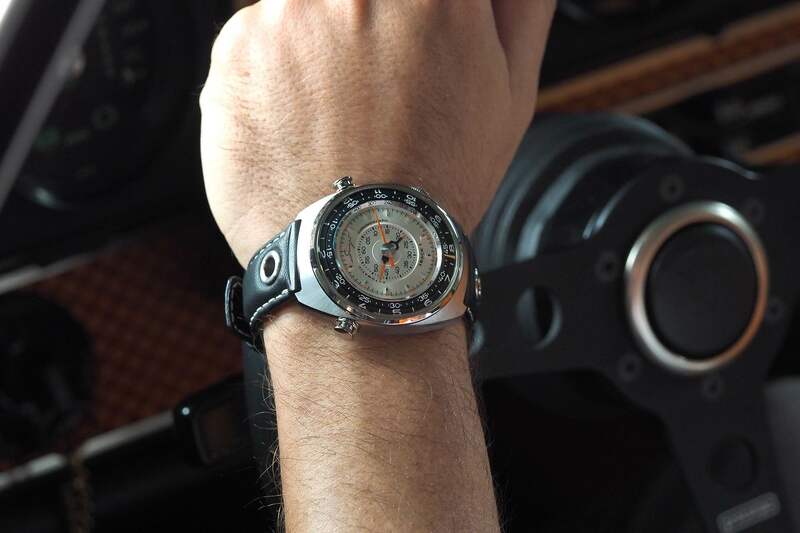 Primarily, what differentiates these from past car and watch collaborations (which often turn out awful), is that the watch was built with the focus being on the stopwatch over the actual timekeeping, which makes sense for buyers interested in racing cars. To achieve this stopwatch (chronograph) focused timepiece, Singer Reimagined worked directly with Agenhor to create a timepiece powered by their exclusive AgenGraphe in-house chronograph movement, a caliber that according to the manufacture, took 10 years to create. The result is a chronograph like you’ve never seen before. The central hands are the chronograph counters, as opposed to telling the time, that’s instead handled by peripheral discs – making the focus on the chronograph. Admittedly, the dials seem a bit busy at first glance, but once you get the used to it I think you will realize the chronograph display is quite nicely executed using the large hand – that by the way looks like a speedometer needle on a Porsche – for seconds (60-seconds), the shortest hand for counting hours (60-hours), and the mid-length hand for minutes (60-minutes). As mentioned above the time is read via peripheral discs. The two discs rotate throughout the day, and the fixed orange needle at 6 o’clock indicates the hours and minutes at any given time. Under the hood, and visible through the screw-in caseback, is the beautifully finished AgenGraphe movement (caliber 6361), which despite not having a rotor visible is an automatic movement. The oscillating weight (rotor), is ingeniously hidden underneath the mainplate, in between the dial and the bottom of the movement. Aesthetically, the finishing is impeccably done, from bridges that feature hand chamfered and polished edges to components that are black polished, Geneva striped, or straight-grained – everything is executed to Haute horology levels. Technically speaking, from the hidden oscillating weight to the unique chronograph configuration, to the specially shaped column-wheel – that results in one of the smoothest actions I’ve ever experienced when you push the start, stop, and reset – this 3Hz automatic movement, which’s made from 477 total components (67 jewels) is as sophisticated as it is beautiful. Each of the Track 1 chronographs, whether the Launch Edition or the Geneva Edition has a tonneau shaped case that measures 43 mm x 15 mm, crafted in Grade 5 titanium for the former, and 18K yellow gold for the latter. Both models are paired with soft handmade calfskin straps (black for the Launch Edition and a dark green for the Geneva Edition). Water-resistance is 100 meters. The Track 1 Launch Edition is CHF 39,800 and the Track 1 Geneva Edition is CHF 72,000.